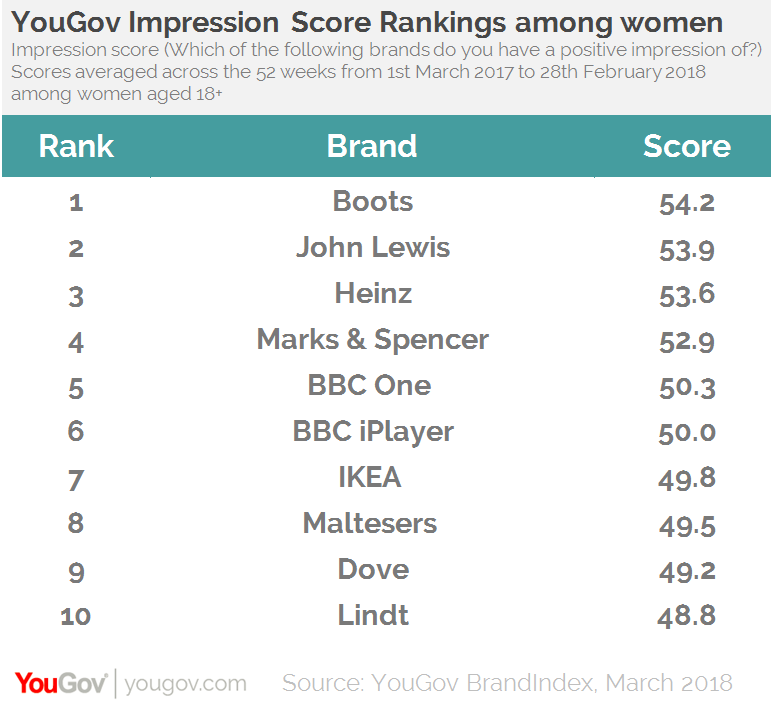 March 22, 2018, 9:25 a.m.
Boots has replaced Marks and Spencer at the top of YouGov BrandIndex’s Women’s Rankings, new analysis reveals. The personal products retailer climbs up from third place in last year’s list, with an Impression score of +54.2. It is ahead of fellow high street stalwart John Lewis in second (+53.9) and Heinz in third (+53.6). Meanwhile, M&S drops to fourth (+52.9), one place ahead of BBC One (+50.3). The rankings use YouGov’s brand tracking data and are based upon whether someone has a positive or negative impression of a brand. Though Boots has the highest Impression score across the board, naturally there are differences between different age groups. M&S takes the top spot among its traditional target demographic, those aged 35-49 and 50+, but Swedish furniture brand IKEA is most popular among those aged 18-34. Despite a tough time for high street retailers, Boots has cemented itself as a force among female shoppers. Women’s impression of the brand has improved in the face of some negative press around its morning after pill pricing, which threatened to damage its reputation. IKEA is a brand that has seems to be guarded from the struggles that other brands that operate on retail parks have had. Our data indicates that its popularity among younger women is high, indicating its combination of value for money and stylish products remains as relevant to this generation as it has in the past. M&S remains a well-regarded brand, despite its drop from the top spot. As we’d expect, it its particularly popular among middle-aged and older women. It has enacted various strategies to appeal to younger consumers, and that still remains a challenge. 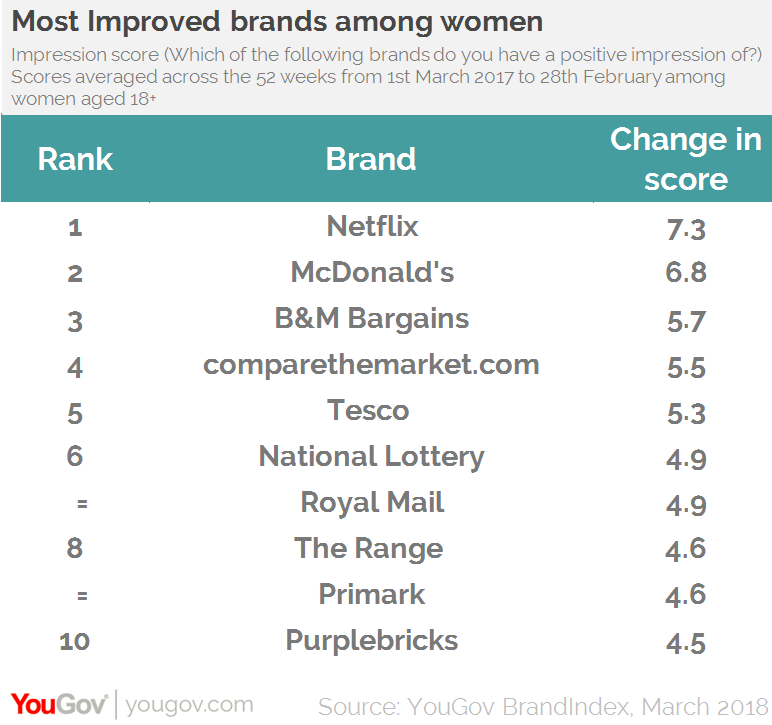 The rankings also reveal which brands have seen the biggest increase in impression among women over the past year. Netflix comes out on top following an uplift of +7.3 points, with the score mirroring a global trend for streaming services, with BBC One and BBC iPlayer also filling two top spots within the overall top ten. McDonald’s takes the second spot in the most improved list, with a +6.8 point improvement in its score, followed by B&M bargains (+5.7), Comparethemarket.com (+5.5) and Tesco (+5.3). 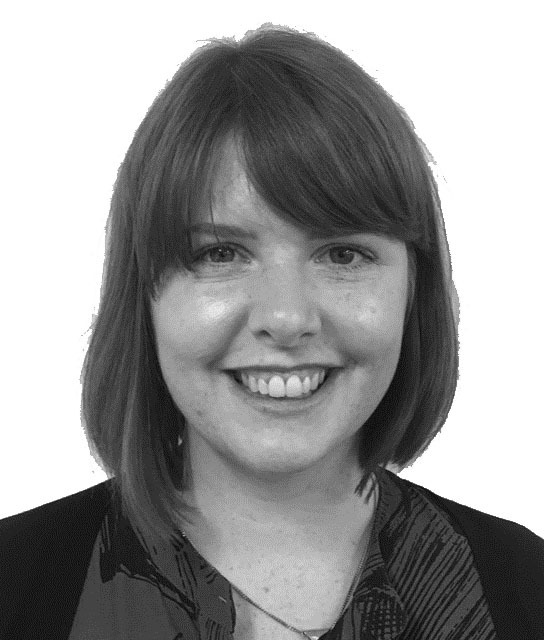 To find out how highly women rank your brand in the UK, contact Amelia Brophy.